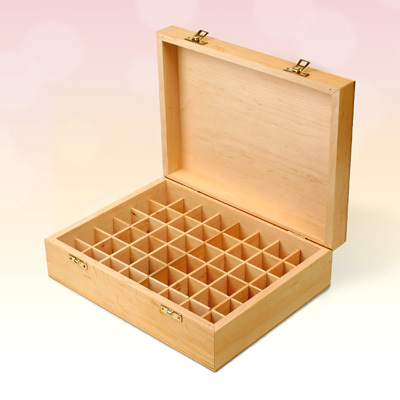 The 48 space Aromatherapy Oil Storage Box is available finished in Natural Alder wood. Fitted with two brass closure clasps for carrying oils securely, these storage boxes are designed to hold either 5ml or 10ml essential oil bottles but can hold bottles up to 28 mm diameter. Each bottle sits in its own divided well which helps to keep them safe during transit. Hold 48 x 5ml or 10ml bottles.